John Wesley was the dictionary definition of a “Holiness Preacher,” but he did not equate a sour disposition of indignant negativity with holiness. We rode in a mild, cool day, to Thorny-Hill, about sixty (measured) miles from Glasgow. Here I met with Mr. Knox’s “History of the Church of Scotland;” and could any man wonder, if the members of it were more fierce, sour, and bitter of spirit, than some of them are? For what a pattern have they before them! 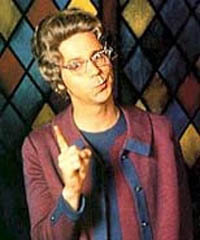 Not so: The work of God does not, cannot need the work of the devil to forward it. And a calm, even spirit goes through rough work far better than a furious one. Wesley’s reference to the obvious source of a sour disposition among church members is insightful. We Christians tend to pass on our attitudes and our pre-dispositions to those around us. Leaders especially have this power in an organization – including and especially in a church! This journal entry causes me to engage in some healthy introspection. When people fellowship with me, or with the people in the church I pastor, what would they say about our shared disposition if they, like Mr. Wesley, went home to write about us in their journal? Wesley, J. (1872). The Works of John Wesley, Volumes 1–4 (Third Edition., Vol. 3, pp. 253–254). London: Wesleyan Methodist Book Room. 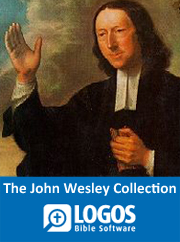 Get your own copy of the John Wesley Collection in LOGOS here.